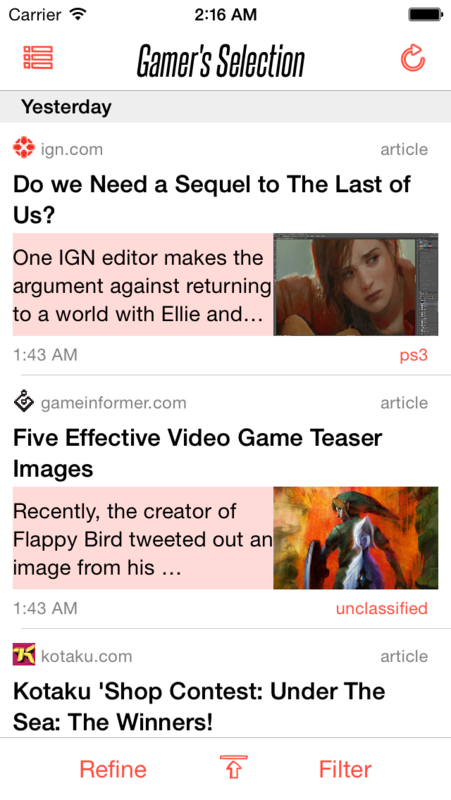 The Gamer’s Reader keeps you up-to-date on the gaming news you care about. TGR is free of advertisements for a reading experience without annoyance. 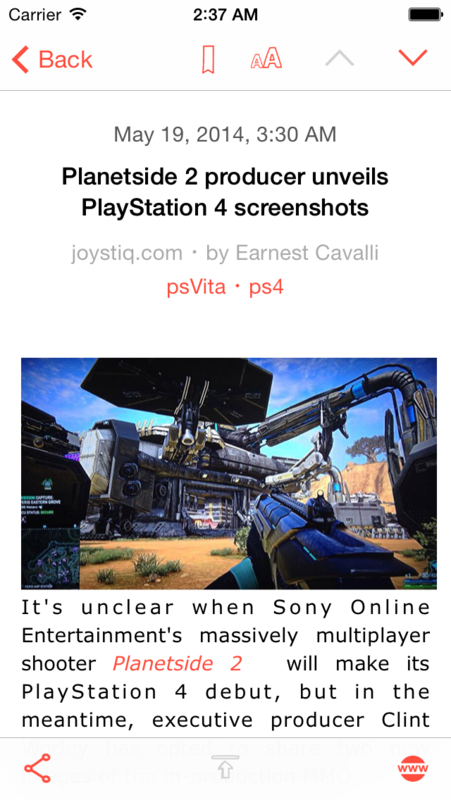 TGR brings together the most consulted gaming websites in 5 languages inside one app. Create your own news feed with only contents of your interest, thanks to powerful tools of content curation (filters on tags, websites, languages, type of sources…). - Access to the original site with only a swipe. 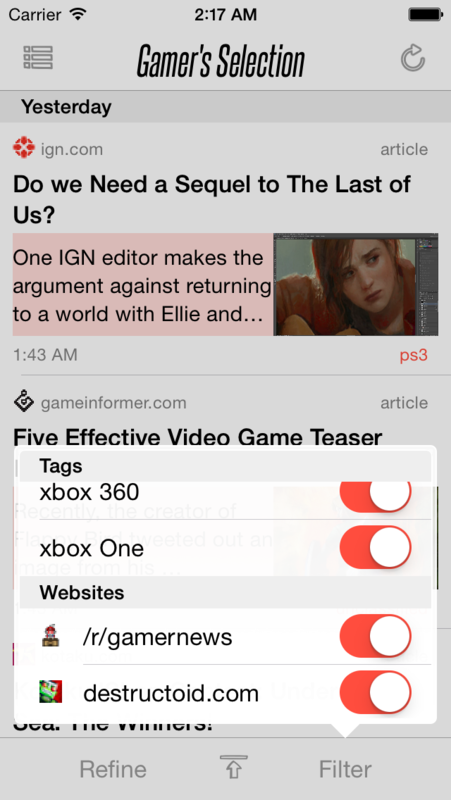 - Save your favorite articles to keep them within reach. - Personalize your reading experience. - Interface adapted to iPad and iPhone. - Do not require to login (no personal info will be asked). 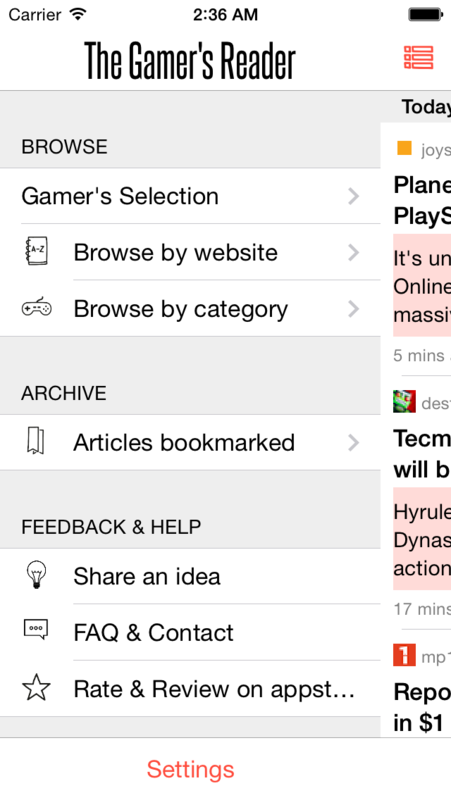 I started working on this app from my need to consult my favorite gaming news websites, podcasts and reddit subchannels of different languages in only one feed. I didn't wanted to add all these feeds to my already overloaded RSS reader. On top of that some feeds have way too much news per day for me to keep up by picking up only those I care. I realized that what I needed is a way to filter each of these content feeds to avoid the information overload and keep only the news in which I have an interest. This was the beginning of TGR. Starting from a personal need, I tried to think it as an app that could satisfy the most of us and I enlarged considerably the scope of the news aggregated. Now it is an application that brings together gaming content from 28 different sources in 5 different languages and tries to classify each news in one of the 29 existing criterias. I followed app.io's recommendation and took off the tutorials screens which are displayed at the app first launch. You can still find an introductory video on the official website (http://thegamersreader.com/) to help you understand how to use the app.